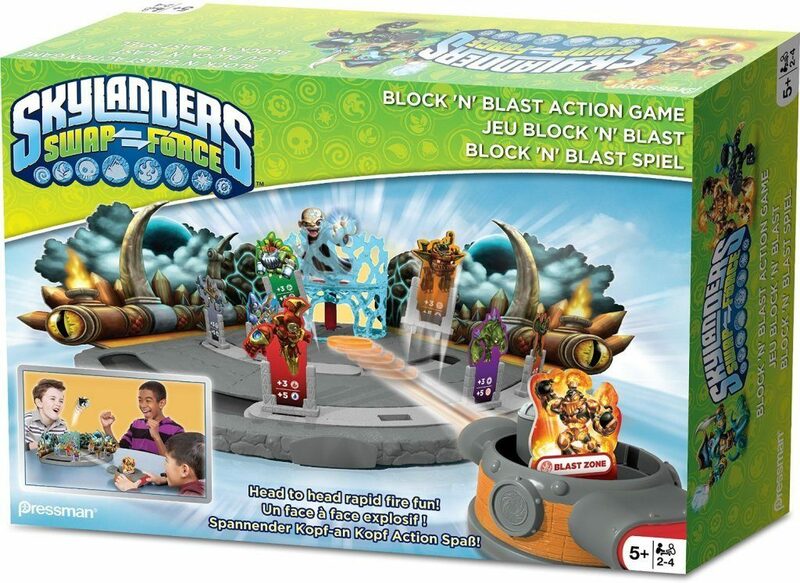 Skylanders Block and Blast Action Game Just $7.19 + FREE Shipping with Prime! You are here: Home / Great Deals / Amazon Deals / Skylanders Block and Blast Action Game Just $7.19 + FREE Shipping with Prime! Head over to Amazon and get the Skylanders Block and Blast Action Game for just $7.19, down from $29.99. Shipping will be FREE with Amazon Prime or an order of $35 or more. It’s the Skylanders game where one player is Kaos and his Minions, trying to protect themselves. The other player uses a specially designed blaster that has different abilities based on the Skylander that’s being used. When the blaster knocks down a minion the blasting player scores a point. Knock out Kaos and score 10. All players take turns playing Kaos and Skylanders and the player with the highest score wins.